OBDeleven remote coding / help after wrong coding. I hope that the post will not be in conflict with the rules. I noticed that many of you have a problem with OBDeleven. That is why I offer my help with coding, adaptation and problem solving after coding. For remote coding, you need the OBDeleven adapter and high speed internet access (WiFi or 4G). Payment in advance to your account or PayPal. In the case of non-performance of services I return the cost. 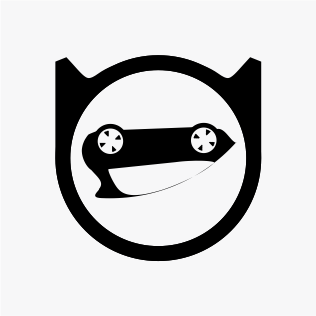 OBDeleven remote coding / help after wrong coding - contact me! 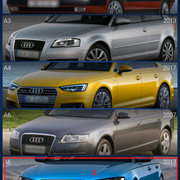 What coding is possible for Audi TT 2009? Jesteś posiadaczem OBDeleven i masz problem ze swoim samochodem? Zrobiłeś zmiany które powodują błędy? Mogę Ci w tym pomóc. Wystarczy że, wyślesz mi historię twoich zmian. W odpowiedzi dostaniesz instrukcję co należy zrobić aby naprawić swój samochód. 6. Kliknij ikonę koperty w prawym górnym rogu a następnie wybierz swojego klienta poczty e-mail. 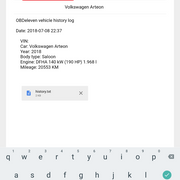 Are you an OBDeleven owner and have a problem with your car? Have you made changes that cause errors? I can help you with this. All you have to do is send me a history of your changes. In response, you'll get instructions on what to do to repair your car. 6. Click the envelope icon in the upper right corner and then select your e-mail client. Sind Sie ein OBDeleven-Besitzer und haben ein Problem mit Ihrem Auto? Haben Sie Änderungen vorgenommen, die zu Fehlern führen? Ich kann dir dabei helfen. Alles, was Sie tun müssen, ist mir eine Geschichte Ihrer Änderungen zu senden. Als Antwort erhalten Sie Anweisungen, was Sie tun müssen, um Ihr Auto zu reparieren. 6. Klicken Sie auf das Briefumschlagsymbol in der oberen rechten Ecke und wählen Sie Ihren E-Mail-Client aus. ¿Eres propietario de OBDeleven y tienes un problema con tu automóvil? ¿Has hecho cambios que causan errores? Puedo ayudarte con esto. Todo lo que tienes que hacer es enviarme un historial de tus cambios. En respuesta, recibirá instrucciones sobre qué hacer para reparar su automóvil. 6. Haga clic en el icono de sobre en la esquina superior derecha y luego seleccione su cliente de correo electrónico. Êtes-vous un propriétaire OBDeleven et avez un problème avec votre voiture? Avez-vous fait des changements qui causent des erreurs? Je peux vous aider avec ça. Tout ce que vous avez à faire est de m'envoyer un historique de vos changements. En réponse, vous obtiendrez des instructions sur ce qu'il faut faire pour réparer votre voiture. 6. Cliquez sur l'icône de l'enveloppe dans le coin supérieur droit, puis sélectionnez votre client de messagerie. 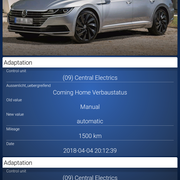 With odbeleven I deactivated alarm belts and now I noticed that during parking, the car does not stop more like before but at low speed touches the car in front or behind. It is as if he no longer had the park pilot assist with automatic braking. Can someone help me ? I only changed the function of safety belts. Do you think that can help me ? 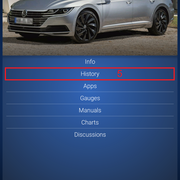 You can send me your history from OBDeleven and I will try to help you. 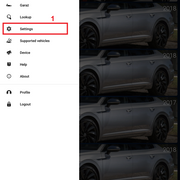 Hello, i need help with activating TPMS on my Skoda Kodiaq in India. Any help would be appreciated. 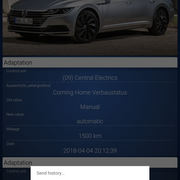 Also, i noticed that the module for "Central Infotainment system" is also not present which is weird because i do have 8.2" Amundsen installed.